Here is an example of a simple, monthly budgeting plan. This is what we can do for you on a large scale! Call us, and let us save you money! Effective estate planning facilitates the orderly transfer of assets to your beneficiaries, provides security for your surviving spouse, and can reduce or eliminate the tax due on the transfer of your business and other assets. We also provide estate and gift tax planning to help transfer your wealth, effectively reduce your estate, thereby minimizing your tax liability both Estate and Individual. You have probably thought about it, but have you prepared for business succession? 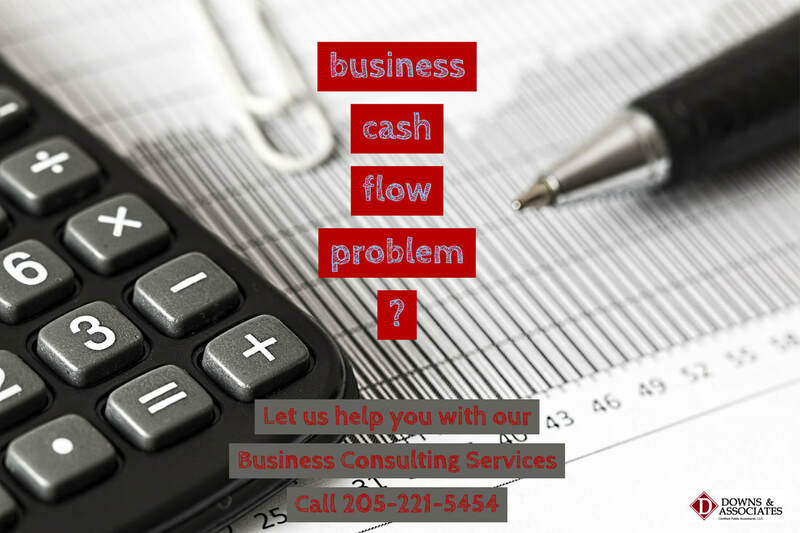 With a solid background in tax and other financial matters, we are fully qualified to address the complex issues of business continuation and can assist you in developing a strategic plan for the transition of your business to your successors. Let us help you prepare so that you will be ready when the time comes. It's never too early to start saving for retirement, but what do you do if you're over 50 and still haven't saved anything? Don't panic, there are ways to start saving today! Bankruptcy? - We can help you! Bankruptcy. If this is where you find yourself, it can be a stressful and fearful place. Thankfully, you do not have to go through the process alone. Filing for bankruptcy is a serious and involved process with many legal and tax issues. At Downs and Associates, our firm is familiar with the complexities of the bankruptcy filing system and can competently guide you through the process every step of the way. Have you ever received an email urging you to reply, otherwise your bank account or credit card may be suspended? If so, you've been solicited by a technique thieves use known as "phishing." These emails request you to reply with personal information such as your credit card number or PIN to confirm your identity. However, many of these emails have misspellings and bad grammar. A careful eye is all you need to avoid becoming a victim to this scam. If needed, call your credit card company to to confirm or denounce any suspicions. Protect your identity and your accounts and please DO NOT FEED THE PHISH! The IRS does not Call you by phone, Visit your home or Accept payment by gift card. Have you received a phone call from someone claiming to be from the IRS, saying you owe money? How can you know if it's really the IRS? It is important to know what the IRS does and does not do to protect yourself from scammers. © COPYRIGHT 2019 DOWNS AND ASSOCIATES. ALL RIGHTS RESERVED.